Solard Company is the leading provider of flowers and gifts delivery service in Belarus! We are glad to offer you delivery services of natural flowers, bouquets, pot flowers and other types of flowers for different occasions within the Republic of Belarus. We will deliver flowers and bouquets anywhere in Belarus: Minsk, Gomel, Gordno, Vitebsk, Brest, Mogilev, Baranovichi, Bobruisk, Borisov, Lida and many other cities, towns and villages. 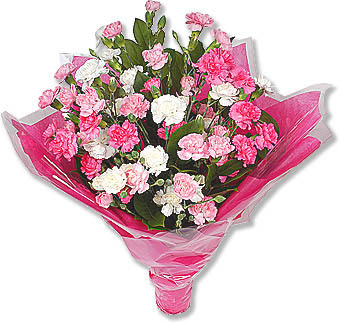 We guarantee delivery of only fresh flowers and amazing gifts on time! Impress your loved ones with flowers and gifts!!! When you think of quality products and first class service, think Solard Company. We have a reputation for giving our customers only the very best in value, contemporary floral design, and reliable flower delivery. All of our orders are backed by the Solard Guarantee of Satisfaction so you can be sure that when you buy flowers from us you receive only the florists' best flowers. 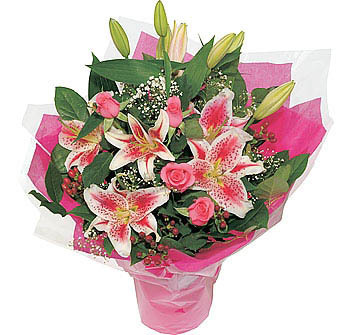 Same day flower delivery to Minsk, and next day flower delivery to any point of destination in Belarus ...Guaranteed! With more than 10 years experience as florists, we have offered our services and expertise online since 2001. In that time, our commitment to our customers has made us market leaders in flower delivery in Belarus!!! Please, click here to view a selection of emails from Satisfied Customers. Please, click here to download The Complete Flower and Gift Catalogue.